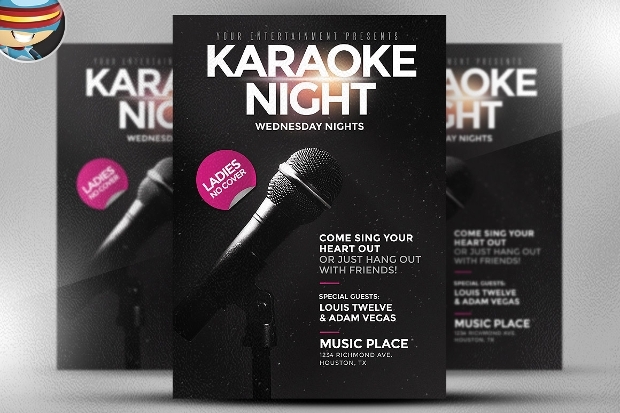 If you’re looking at a budget-friendly way to promote your karaoke gig, then we’d recommend you pick flyers as your mode of advertisement. 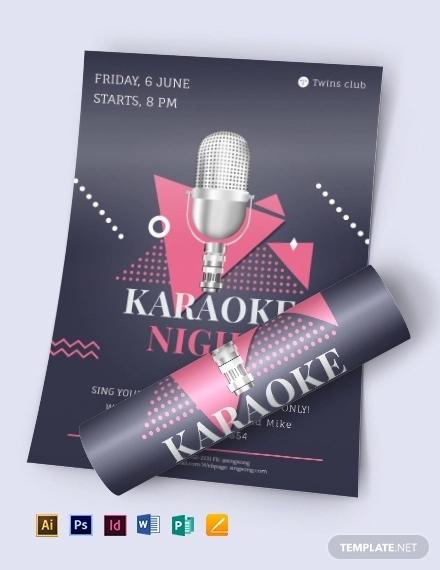 In the last few years, flyers have become a huge favorite for promotion and marketing activities. 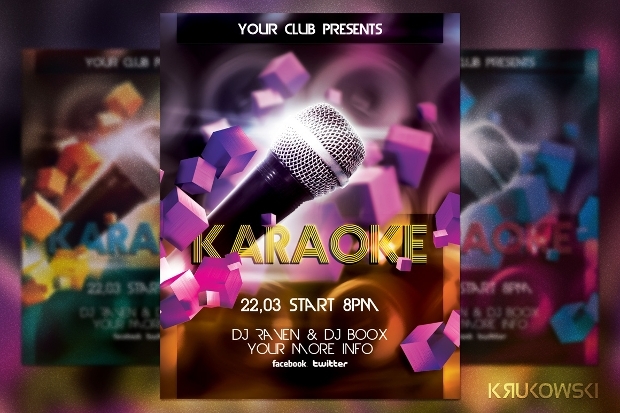 In a lot of places it is rather common for karaoke events to be publicized by distributing flyers at the right places. 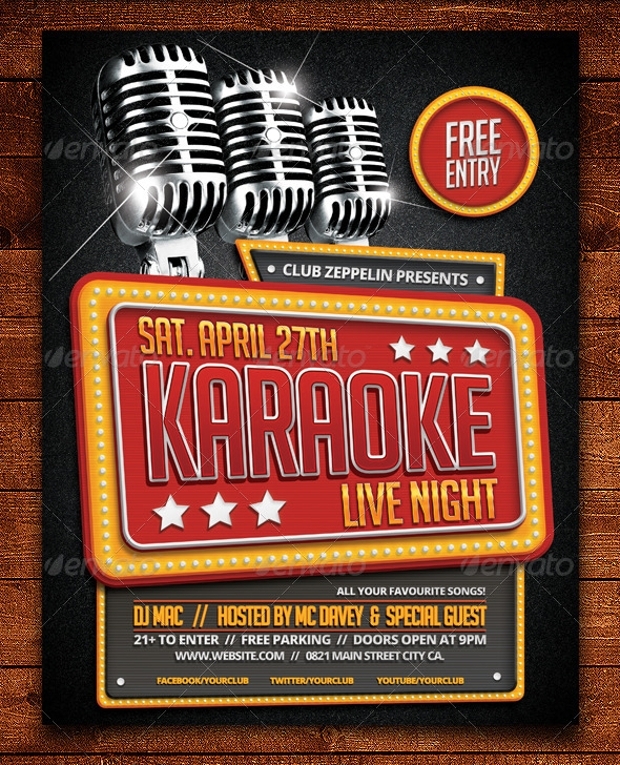 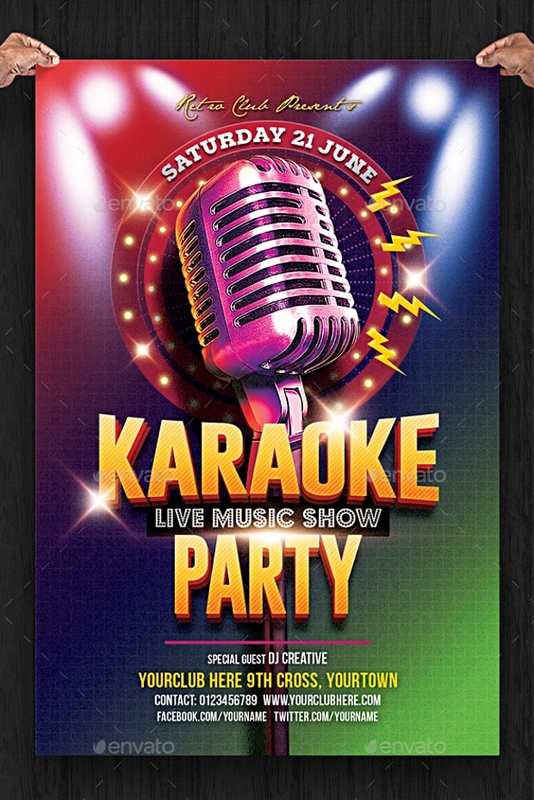 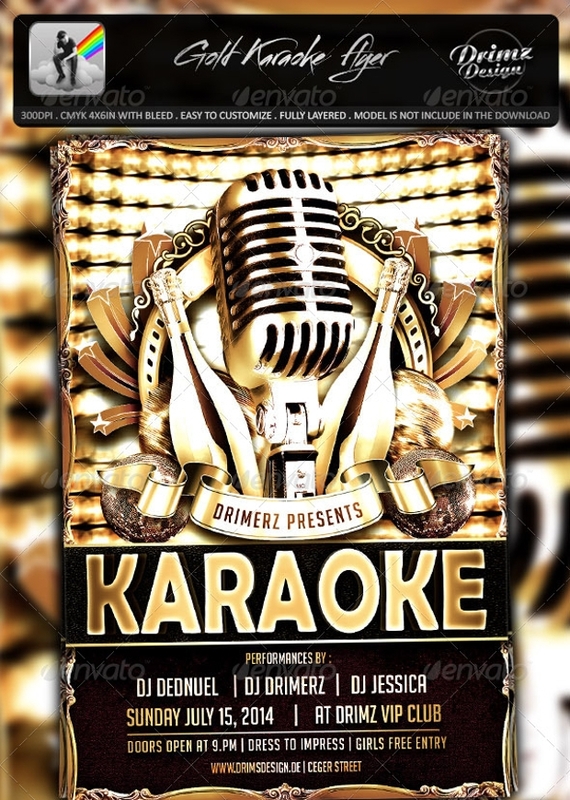 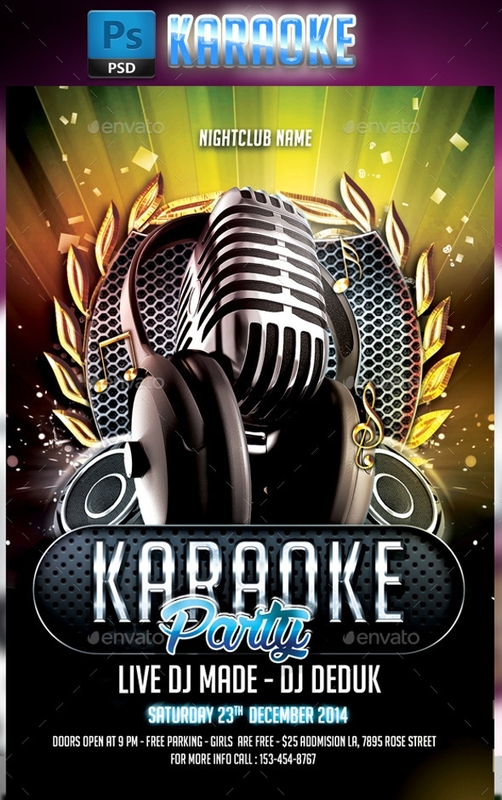 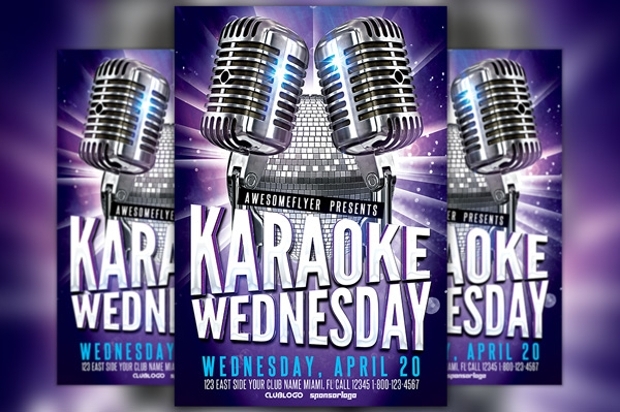 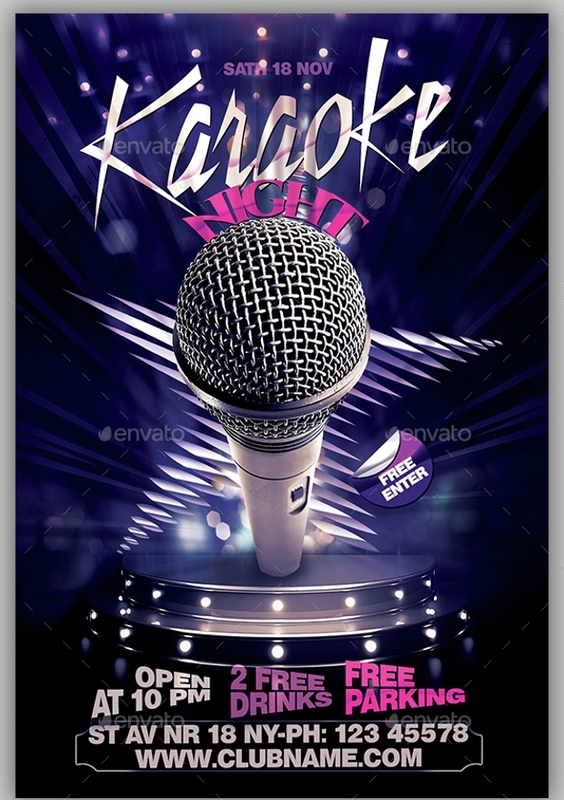 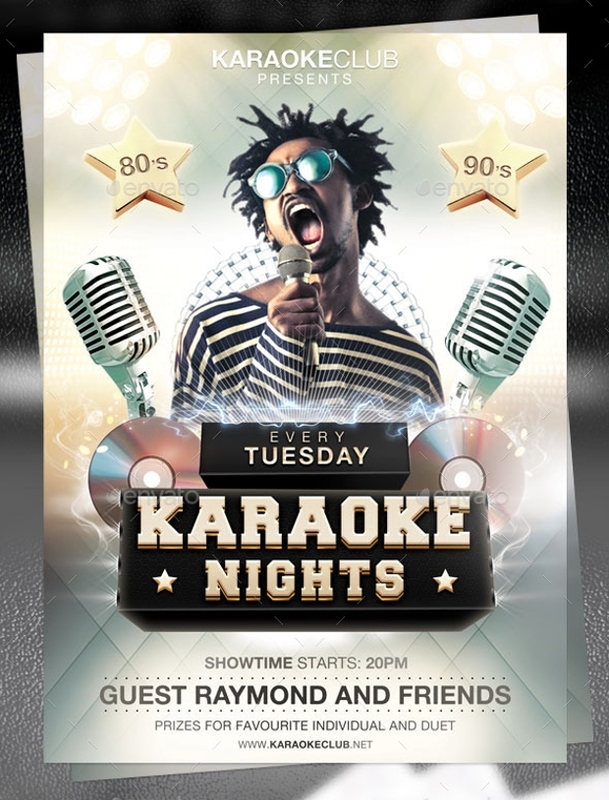 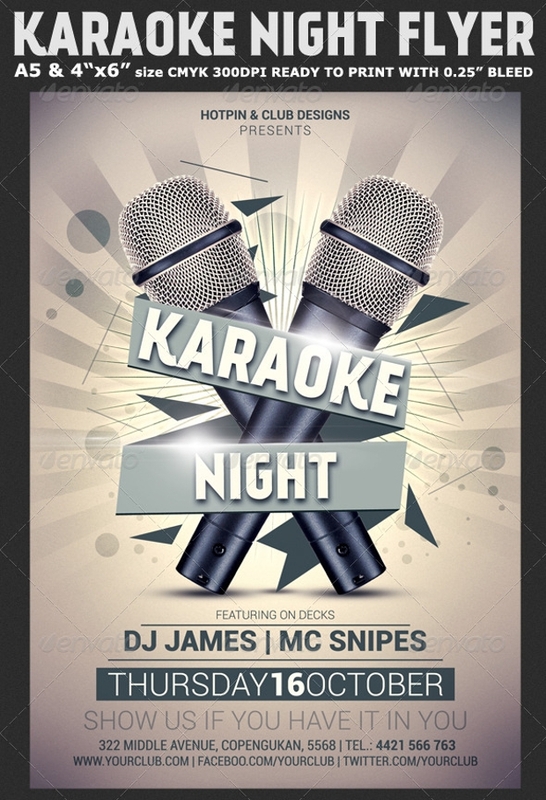 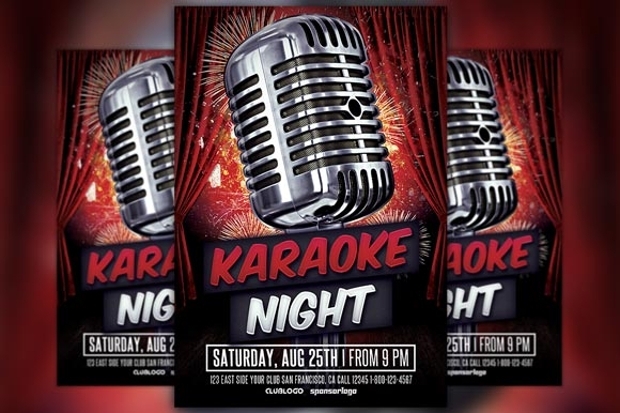 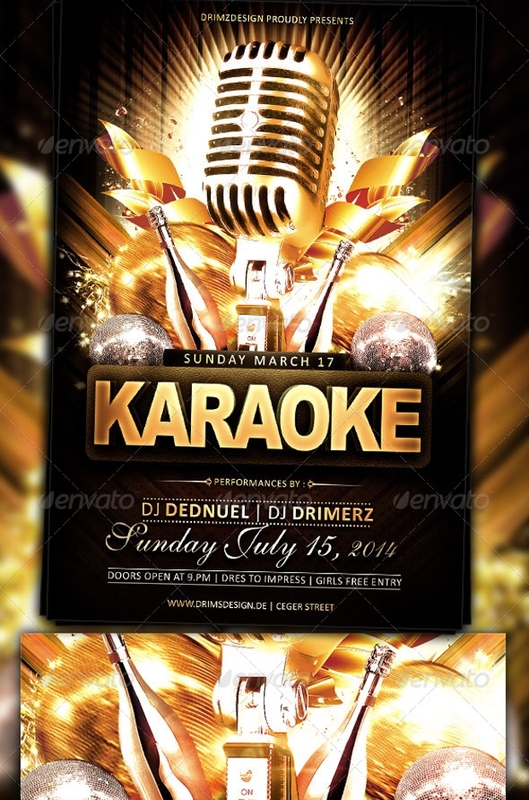 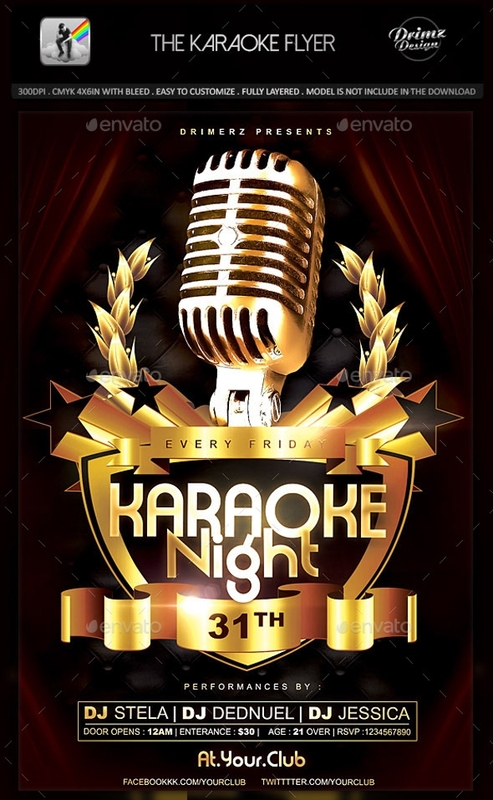 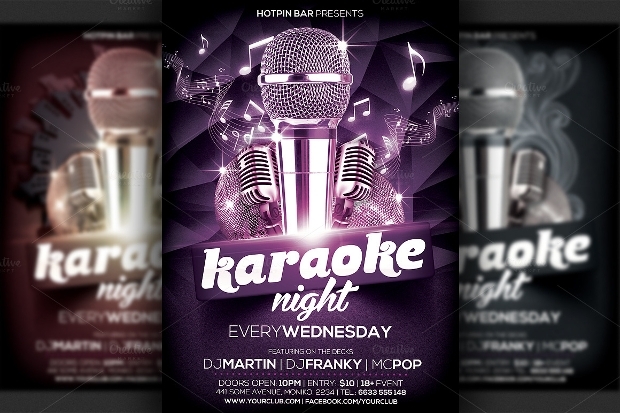 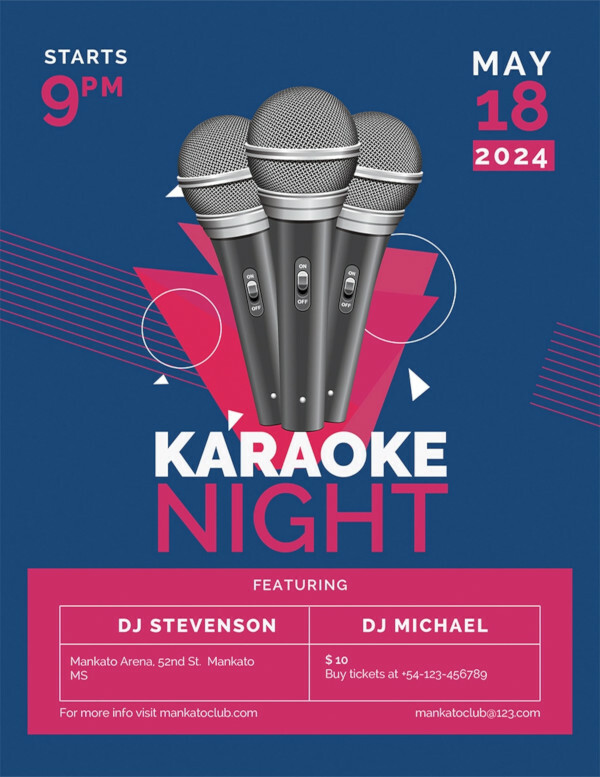 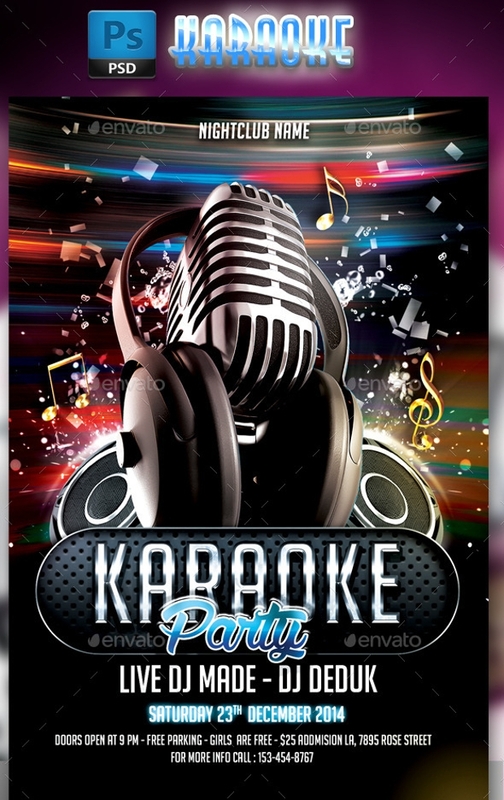 In this post, we have for you some very eye-catching eye – catching flyer designs – all of which are a perfect fit to become the design of your flyer for the upcoming karaoke event. 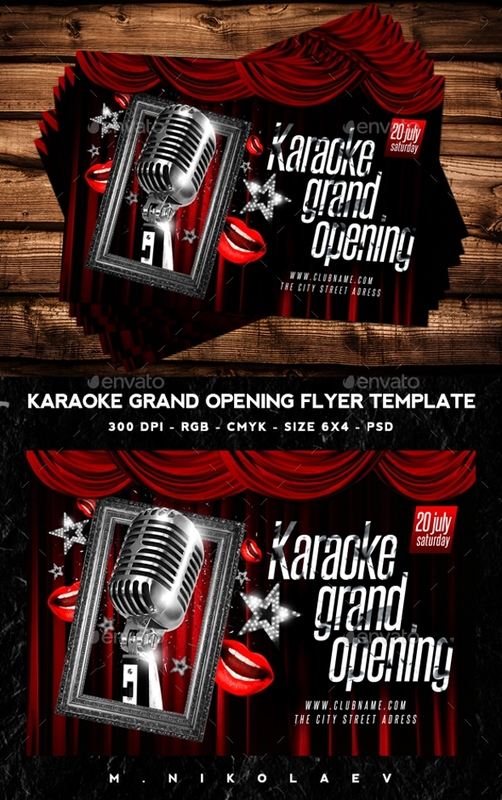 As the flyer design files are in PSD format, you can download and open them in Photoshop and edit them to suit your preferences. 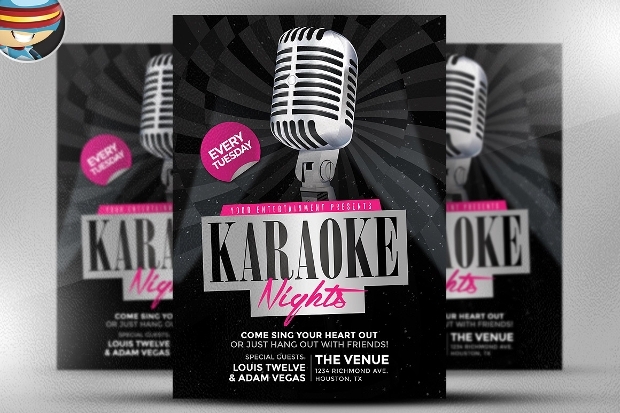 Although the flyer designs are already very stylish, there’s hardly any work you’d have to do with any of the designs. 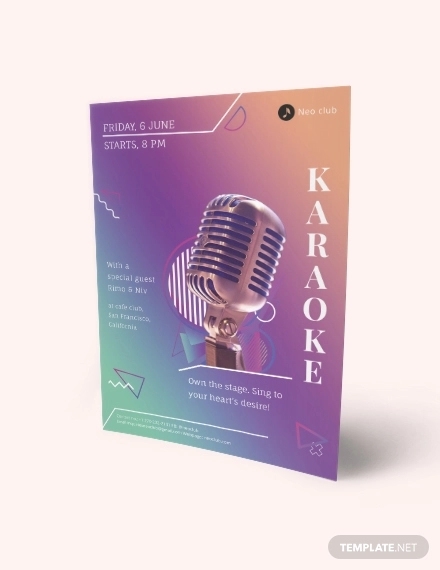 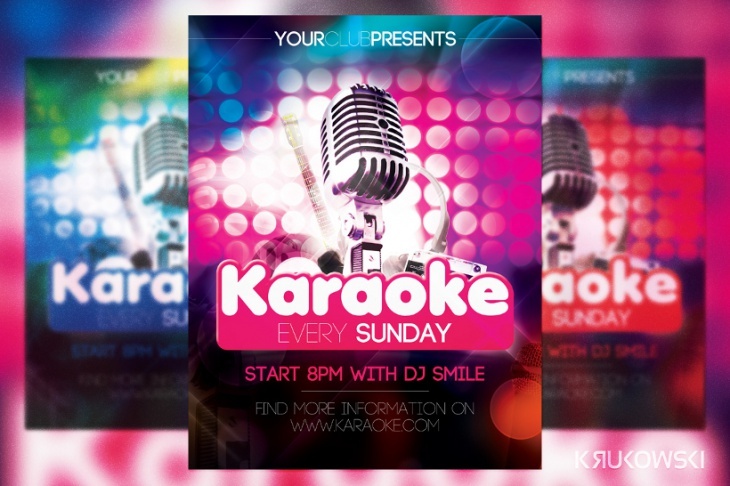 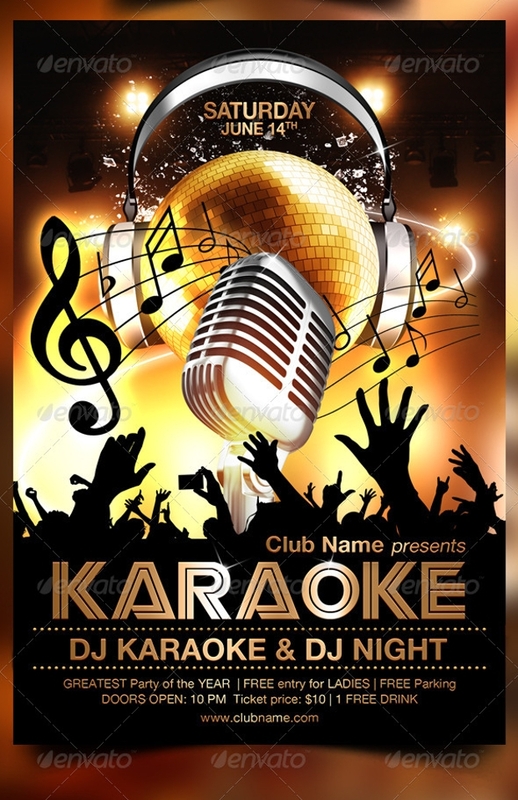 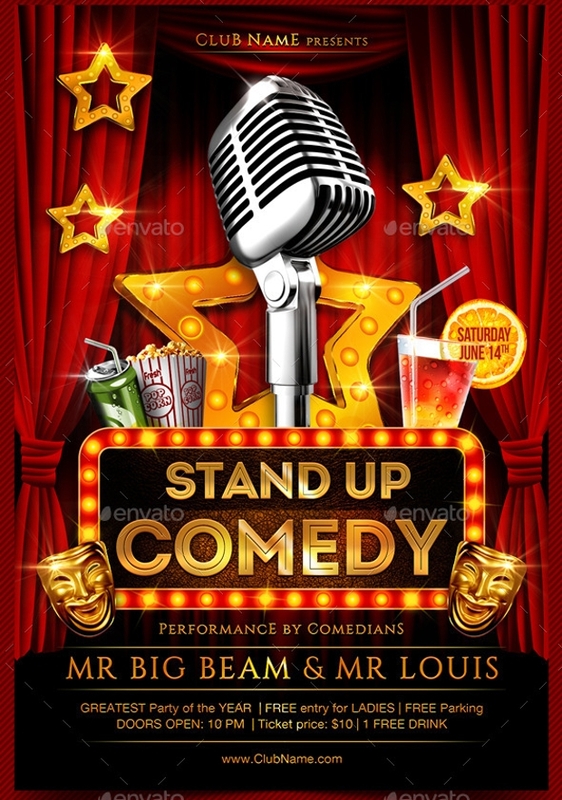 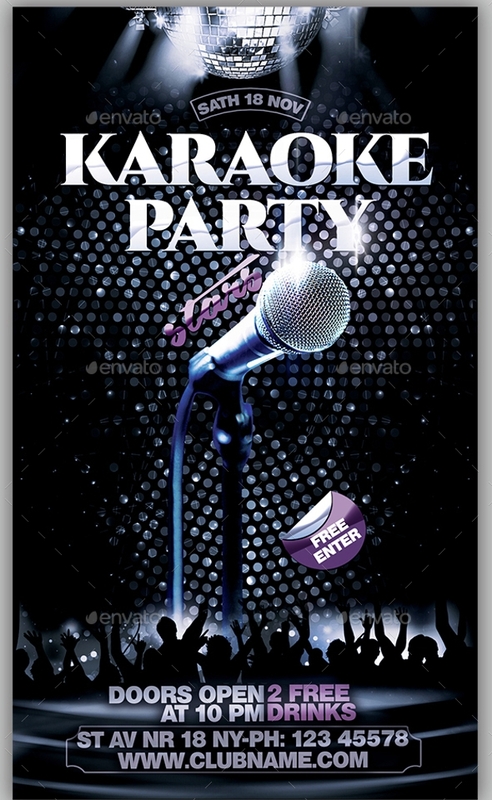 With a stack of attractive karaoke flyers in hand, you can easily distribute them at events, places such as pubs, bars, cafes, malls club flyers etc. 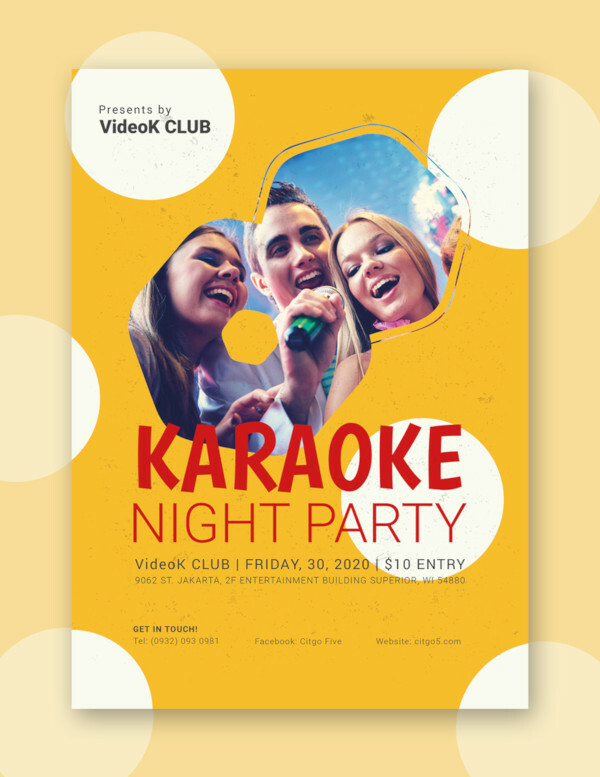 The creative design will definitely tempt people to check out the flyer and make their presence felt at your karaoke event!